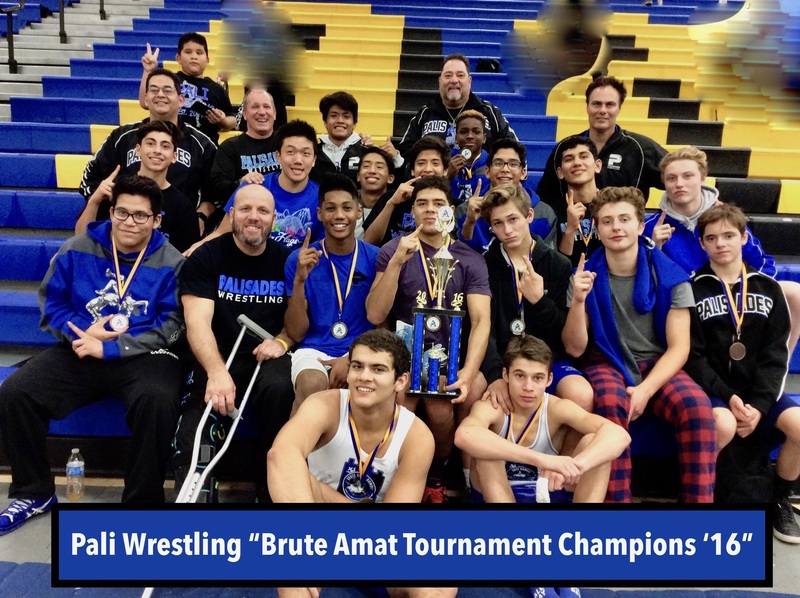 Palisades High School took home the team championship at the Bishop Amat Tournament at La Puente over the weekend. Hamzah Alsaudi (195 lbs.) and Aaron Galef (120 lbs.) took top spot in their respective weight classes. 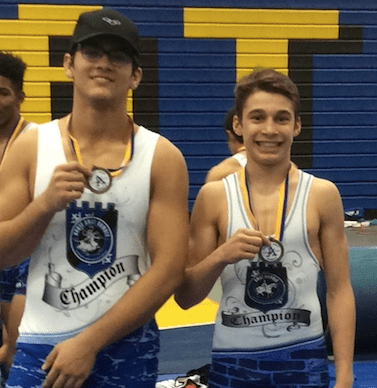 Eleven of 14 Pali wrestlers placed. A pin by Dolphin heavyweight Carlos Velado secured the team win over Vista Murrieta.